Reaching our dreams is never easy. Aiming high is not one day’s sleep away. To be able to climb the ladder to success, you got to work hard, and sacrifice a little bit of your social life to be able to focus on your goals. However, what if you get on top, twice in a row? One big dreamer made his dreams a reality and surprised many when he topped the board exams twice! Jerald Lalaguna Pelayo made his family, friends and alma mater proud when he aced the licensure exams for nurses in 2011. However, no one expected him to repeat it in 2018 when he took the licensure exam for doctors. This earned not only a round of applause but also admiration and inspiration from others. 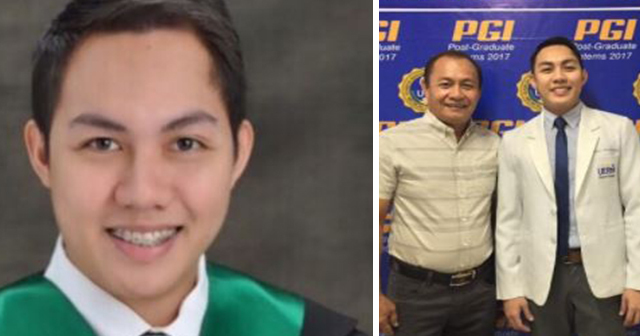 Pelayo hailed from the province of Masbate but finished his nursing course at Mountain View College, which is an Adventist school in Bukidnon. After reaching the top spot for Nursing board passers, he studied at University of the East Ramon Magsaysay Memorial Medical Center to continue studying in medicine. “Siguro po yung inspiration ko talaga is yung service to the people and especially yung hindi nari-reach ng ating government.” Although, CNN Philippine reports that Pelayo’s inspiration is American Neurosurgeon, Ben Carson. Pelayo also wants to receive more training in the US to be able to become fully capable of helping other people in need especially those who are unfortunate. Pelayo stands as a role model and inspiration to others, and his success in his dreams might just be ours as well too. So, keep on learning Pelayo and be the best you can be.